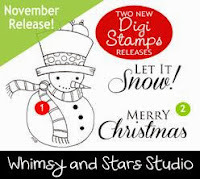 Welcome to new release day at Whimsy and Stars Studio!! 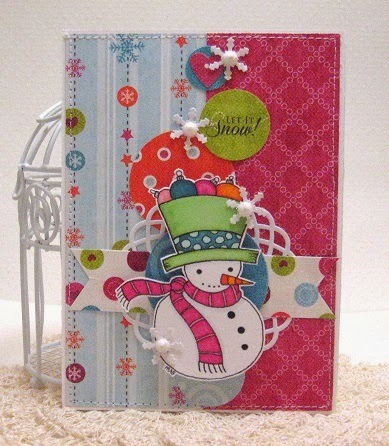 Mabelle has created, the most darling whimsical snowman and sentiment this release - I love it! I went digging for DP's that would bring out the fun in this image, and I do believe, I found it!MME - Colorful Christmas! This image as well as many more holiday/winter images can be found in shop and ready for instant download! Also, there is a Holiday Sale going on - 25% off your order of $6.00 or more from 11/12 thru 11/30!